During the 1850s the first railroads from the east pushed their way through to Chicago along the right-of-way in the older photo. By 1948 this route was part of the New York Central system. 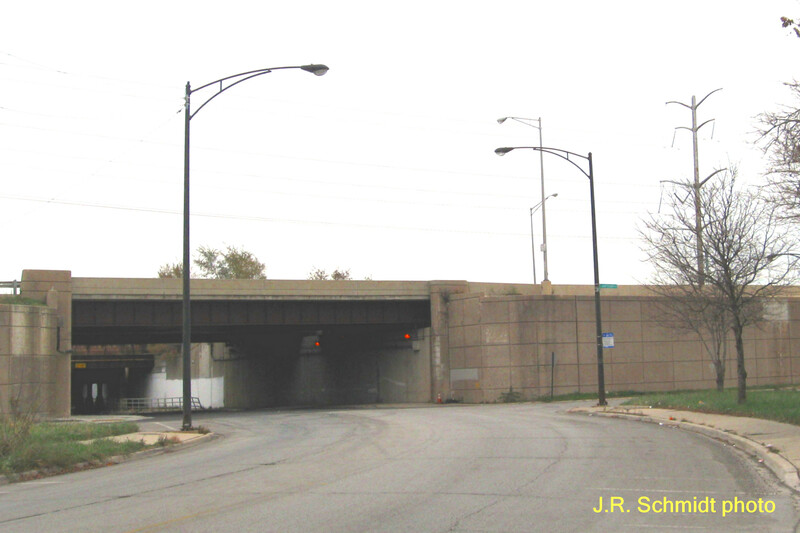 Beyond the viaduct, South Chicago Avenue runs parallel to the railroad. 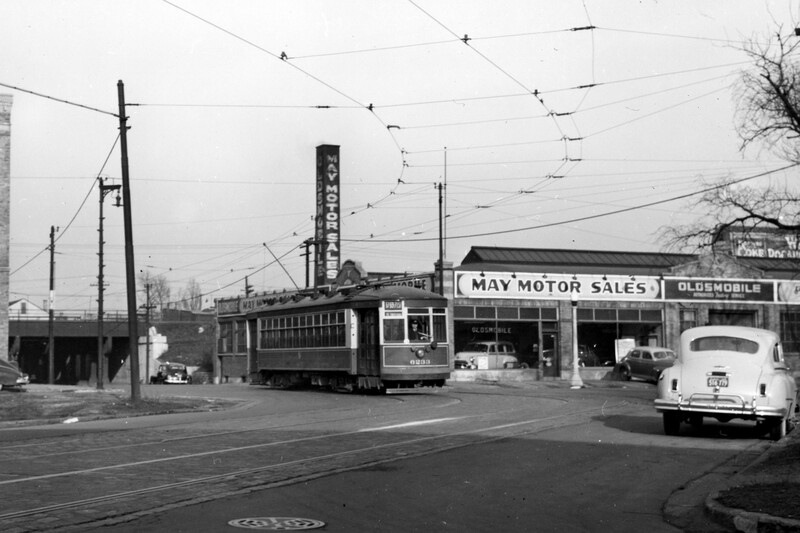 During the 1950s May Motor Sales and other buildings along this side of the railroad were demolished to make way for the Chicago Skyway. The railroad is still there adjacent to the Skyway in our time, though now the trains are operated by Amtrak.